"A godsend to the back-to-work mom who doesn’t have time for everything to go any less than smoothly." Discounted bulk orders available for employers, conferences, and more! Get in touch for pricing. 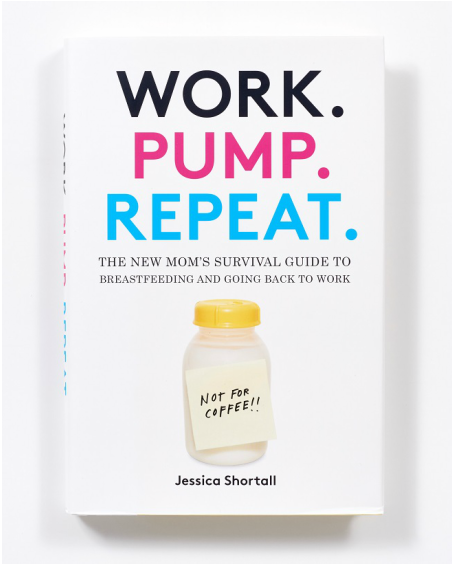 This book is a survival guide for working, breastfeeding moms. This book is a collection of war stories, hacks, and strategies from hundreds of women who've been there, and the managers and HR experts who've seen it all. This book will tell you how to pump in an airplane, in a moving car, and virtually everywhere in between. This book will remind you you're not alone. We have dried breastmilk on our work clothes, too, and we're with you. This book is the anti-judgment, pro-sanity antidote to the Breastfeeding Wars. This book is a love letter to working parents. Amazon, Target, and weeSpring, and via the BabyLi.st widget.